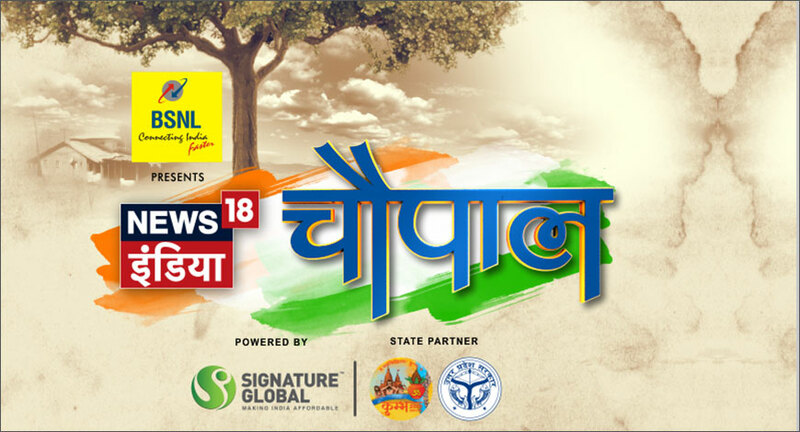 Continuing the ethos of News18 India of bringing path-breaking initiatives, the channel is back with the fourth edition of News18 India Chaupal’. Amidst the astounding mandate of the recent assembly elections, the flagship event will bring together leading politicians and commentators to set the outlook for the General Elections next year. Scheduled for 19th December in New Delhi, Chaupal will be graced by leading personalities such as Yogi Adityanath, Ravi Shankar Prasad, Manoj Sinha, Kamal Nath, Akhilesh Yadav, Digvijay Singh to name a few. Exemplifying channel’s disruptive spirit, News18 India Chaupal will focus on subjects that cover the mood of the nation. From politics to policy making and from state issues to Bollywood opinion, ‘Desh ka Sabse Bada Manch’ will aim to add a unique dimension to both political and popular discourse. Speaking about the 2019 elections and current political scenarios, the inaugural session will witness BJP’s star campaigner and Uttar Pradesh’s Chief Minister, Yogi Adityanath. Commenting on the initiative, Prabal Pratap Singh, Managing Editor, News18 India said, “Over the past two years, News18 India has seen phenomenal growth which, we firmly believe, has been possible because of our fearless approach in presenting the news and an undying commitment to deliver the truth. Furthering our philosophy of hard-hitting journalism, the 4th edition of ‘News18 India Chaupal’ is going to be extremely pertinent as it sets the stage for the political dialogue while India gears up for the upcoming General Elections in 2019. The event will aim to catalyze new approaches, debates, and deliberations across a range of topics in the presence of the finest leaders of our country.” From the revival of Congress to ultimate contest in 2019 and the rise of young political brigade along with the third front, the thought leaders across numerous fields will share their insights and perspectives. The sessions will be moderated by top anchors and journalists of News18 India. Prominent politicians, policymakers and intelligentsia, along with stalwarts from entertainment industry such as Biplab Kumar Deb, GVL Narsimha Rao, Sambit Patra, Raj Babbar, Jayant Chaudhary, Pankaj Singh, Manish Tiwari, Mukhtar Abbas Naqvi, Sukhwinder Singh, Sona Mohapatra, and Kriti Kharbanda amongst others will be participating in the News18 India Chaupal.